Phil Coulson’s (Clark Gregg) team at the center of [b]Agents of S.H.I.E.L.D. [/b] has seen a number of members come and go through the show’s first two seasons. At the end of season 1, it was revealed that Grant Ward (Brett Dalton) was a member of the rogue organization HYDRA when he betrayed the team. Then, season 2 saw a number of additions including Bobbi Morse ( Adrianne Palicki ), Lance Hunter (Nick Blood), and Mack ( Henry Simmons ). With the introduction of the Inhumans mythology, the Inhuman Lincoln ( Luke Mitchell ) also joined the team, and it was revealed that Skye (Chloe Bennet) was actually Daisy Johnson, the Inhuman character Quake from Marvel Comics . 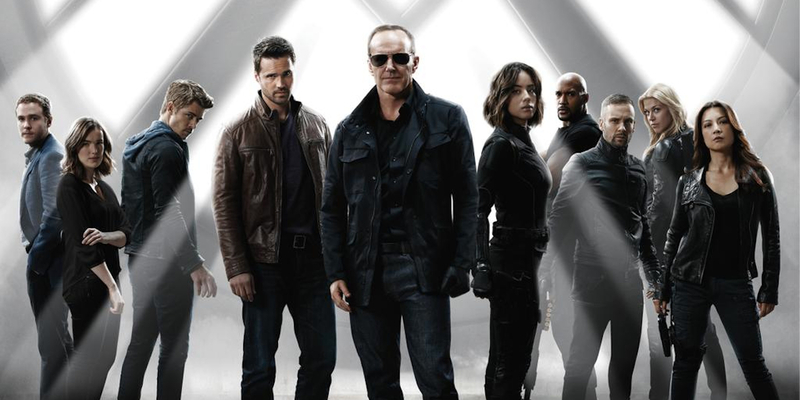 In the season 2 finale , Coulson was shown assembling a new team that would utilize gifted individuals in addition to S.H.I.E.L.D. members, and over the break it was confirmed that the team would be the comic book force known as the Secret Warriors . Now, the opening sequence of the season 3 premiere has been released and it offers fans their first look at those Secret Warriors. Marvel released the opening (above), which introduces the Inhuman Joey (Juan Pablo Raba) who has just undergone Terrigenesis and received the gift of melting metal. Unable to control it, he is tracked down by the newly introduced Advanced Threat Containment Unit, or ATCU, headed by Rosalind Price ( Constance Zimmer ). However, before the ATCU agents, including Rosalind’s right-hand man Banks (Andrew Howard), can apprehend Joey, S.H.I.E.L.D. agents Daisy, Mack, and Hunter arrive and extract him. In addition to dealing with the fallout from the widespread distribution of Terrigen crystals, season 3 of Agents of S.H.I.E.L.D. will explore other story threads teased in the season 2 finale. Ward will continue to rebuild HYDRA, while Leo Fitz (Iain de Caestecker) will investigate the Kree artifact that swallowed Jemma Simmons (Elizabeth Henstridge). Meanwhile, Agent Melinda May (Ming-Na Wen) will need to confront her role at S.H.I.E.L.D. and whether she wants to continue on at the organization. Details about the season 3 addition of the ATCU have been sparse prior to the Agents of S.H.I.E.L.D. premiere, aside from knowing the organization isalso tracking down Inhumans . However, this opening sequence quickly introduces the ATCU as a group that wants to keep the problem of Inhumans undergoing Terrigenesis out of the public eye, but that they don’t seem to know or understand much about the culture, since they refer to Joey as alien. Still, the motivations of Rosalind, Banks and the ATCU are unclear, and why they wish to apprehend Inhumans, aside from preventing the public from knowing, remains to be seen. Meanwhile, Coulson’s Secret Warriors team seems to be fairly comfortable in their roles; Daisy has plenty of control over her seismic powers and demonstrates them with ease in the opening sequence, while all three agents seem to have extracted Inhumans from situations like this before. Though there seemed to be some tension between the Inhuman and human members of S.H.I.E.L.D. in the season 3 teaser trailer , in the opening of the premiere, the Secret Warriors are shown working like a well-oiled machine — with Quake taking the lead . Agents of S.H.I.E.L.D. season 3 premieres Tuesday, September 29th at 9:00 p.m. ET on ABC. Agent Carter season 2 is expected to air during the mid-season break in early 2016.